[Port Angeles, WA – April 2018] – Crystal Investment Property, LLC, (“CIP”) a member of Hotel Brokers International, announced the successful sale of the Super 8 in Port Angeles, Washington. CIP, a licensed Washington brokerage, represented the Seller in the sale. Joseph P. Kennedy, President of CIP, worked closely with the Seller and Buyer, as well as the parties’ other professionals, to negotiate a mutually acceptable sale. The final sale price is confidential. 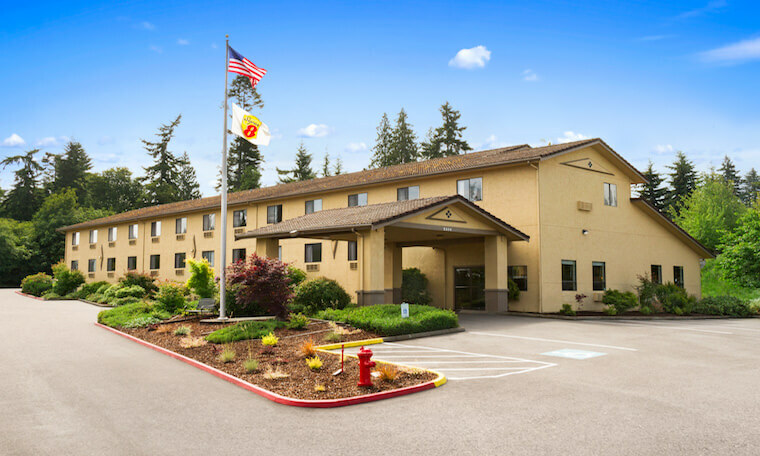 Located at the gateway to the spectacular Olympic Peninsula and the Puget Sound, just a short distance from the booming urban heart of Seattle, WA, the Super 8 in Port Angeles, Washington is superbly positioned to serve a diverse clientele in a year-round resort market. Sited on a large lot with expansive truck and RV parking, the Super 8 offers 63 spacious and well-appointed rooms in a well maintained interior corridor building. The property is fully staffed and turn-key for the new owner. Crystal Investment Property, a premier hospitality investment advisory and brokerage company located in the Pacific Northwest, maintains the most cutting-edge technological, online and social media presence as well as a full range of traditional and web-based marketing reaching local, regional, national and international clientele. The firm’s core services of hospitality asset acquisition/disposition are supported by innovative and creative solutions to maintain position as the most active and successful hotel broker in the region. Crystal Investment Property represents the full spectrum of hospitality real estate owners and their experience covers all hospitality assets types, including full service hotels, boutique hotels, select service hotels, limited service hotels, as well as development projects, and leasehold transactions. Crystal Investment Property may be accessed online at www.crystalip.com. CIP has been great to work with on exploring possible investment opportunities. Thanks to their patience, and easy to understand process, I was able to gain a firm understanding of how to make my investment properties work best for my investment style.